The original and, for many, still the best FIFA World Cup mascot, England’s lion – wearing a Union Jack jersey with ‘WORLD CUP’ emblazoned on the front - provided a traditional symbol of the 1966 hosts. World Cup Willie’s success ensured that he became a pioneer for mascots at major sporting events, setting the standard for his many successors. Following in Willie’s footsteps was Juanito, a boy decked out in a ‘Mexico 1970’ sombrero and the hosts’ famous green shirt. He provided a fittingly vibrant mascot for the first FIFA World Cup broadcast in colour. The 1974 hosts followed a similar theme, kitting out two boys in the hosts’ white shirts, one emblazoned with the letters WM (Weltmeisterschaft, German for World Cup) and the other with the number 74. Tip and Tap offered an image of togetherness and friendship that was to be repeated 32 years later. For the third tournament in succession, organisers opted for the image of an enthusiastic young boy, with Gauchito again sporting the hosts’ iconic kit. His hat carried the words ‘ARGENTINA 78’ and he also wore a hankerchief and carried a whip, typical guacho symbols. There was a fruity them to Spain’s 1982 mascot, with Naranjito taking the form of an orange. Again, he was resplendent in his national team’s kit and also wore an especially wide grin. Mexico’s return as hosts also brought about a comeback for the sombrero, although this time it was not worn by a boy, but a giant chili pepper. Pique, who also sported a stereotypically Mexican moustache, also continued the theme of fruit and vegetables started by Naranjito. The 1990 edition heralded a significant departure from tradition as Italy ditched the mascot’s traditionally ‘cuddly’ form for a more modern structure. Ciao – named, of course, after the Italian greeting – was also the first and, to date, only mascot without a face, with designers opting instead for a stick figure in the colours of the Italian tricolour with a football for a head. There was another revolutionary development in 1994, when the US public voted for their tournament’s mascot. Their choice was Stryker, a dog kitted out in the hosts’ red white and blue with the competition logo displayed on his shirt. In 1998, France returned to World Cup Willie’s by opting for a recognised national emblem in the shape of a traditional Gallic rooster. One of the more colourful mascots to date, Footix’s bold blue body, red head and bright yellow beak made him a colourful addition to a memorable tournament. The first FIFA World Cup of the new millennium brought the first trio of mascots in a predictably futuristic effort from the famously innovative co-hosts. Orange, purple and blue, these animated creations participated in ‘Atomball’, a fictional football-like sport, with Ato the coach and Kaz and Nik his players. The three names were voted for by internet users and customers at McDonald's outlets in the host nations. 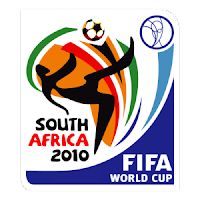 FIFA.com users recently voted Goleo VI and Pille as their favourite mascots of the past five FIFA World Cups, showing the affection in which the 2006 duo are still held. After the high-tech imagery of 2002, this represented a return to a more traditional form of mascot, and also heralded a comeback for the lion, this time accompanied by an irrepressible talking football. Finally to the mascot of the hour. This friendly leopard’s name is a composition of 'ZA', for South Africa, and 'kumi', which translated as "ten" in various languages across Africa. Football crazy, Zakumi dyed his hair green to camouflage himself against the green of the pitch, although there seems little chance of this particular mascot keeping a low profile. As we have seen here, he has plenty to live up to, but Zakumi looks certain for a special place in FIFA World Cup history.